The Reebok Women’s Training 2 x 1kg wrist weights come with a thumb sleeve and an adjustable hook and loop closure that ensure you work out with great comfort. The weights are supplied as a pair with each one weighing 1kg (2.2lbs) and increasing the resistance and intensity you’ll feel on walks, jogs, runs and other activities. The weights are part of the Women's Training range from Reebok. 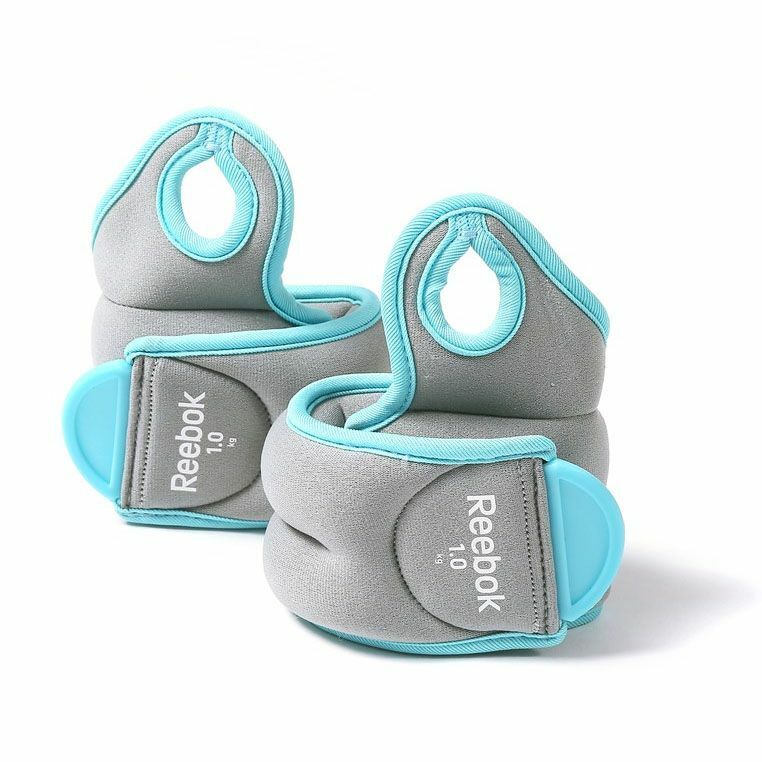 for submitting product information about Reebok Womens Training 2 x 1kg Wrist Weights We aim to answer all questions within 2-3 days. for submitting product information about Reebok Womens Training 2 x 1kg Wrist Weights. We aim to answer all questions within 2-3 days. If you provided your name and email address, we will email you as soon as the answer is published. for submitting product review about Reebok Womens Training 2 x 1kg Wrist Weights.